High-elastic high-voltage cable has the characteristics of good flexibility, low noise, high – voltage characteristics, safety margin. 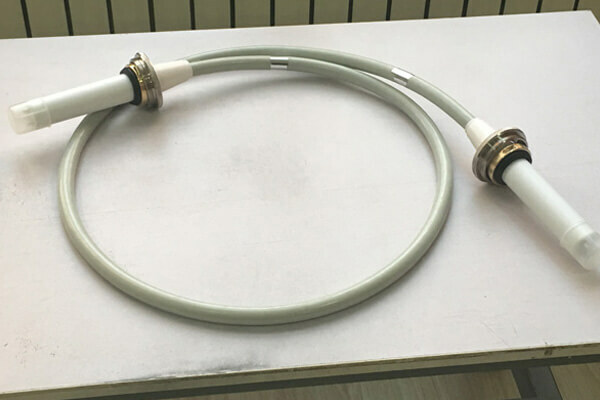 Our high-voltage cable conductor bending resistance is good, conductor flexibility is high, avoid transmission signal electromagnetic crosstalk;Good shielding effect for electromagnetic interference outside the cable itself. It has multiple excellent properties, such as soft and wear-resisting, hydrolysis resistant, anti-bacteria, anti-adhesion and anti-ultraviolet, etc., which improves the service life of cables in harsh environments. The flexible sheath of cables has excellent protection effect on the internal structure. Newheek is an expert in the design and manufacture of high tension flexible cables and cable sockets. Our high elastic high voltage cable is suitable for all kinds of medical equipments.